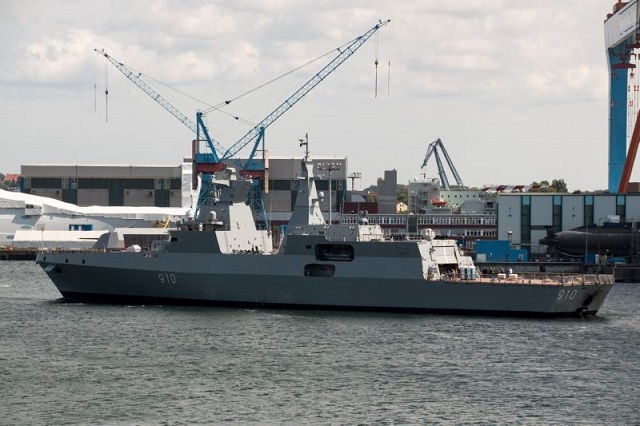 The first of two MEKO Frigates built by Germany's ThyssenKrupp Marine Systems (TKMS) in Kiel appears ready to start her first sea trials according to ship spotter pictures. 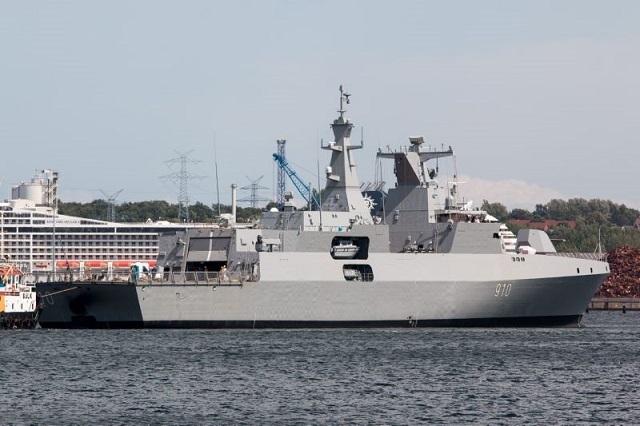 The vessel, designated MEKO A-200 AN Frigate, was launched in early December 2014. 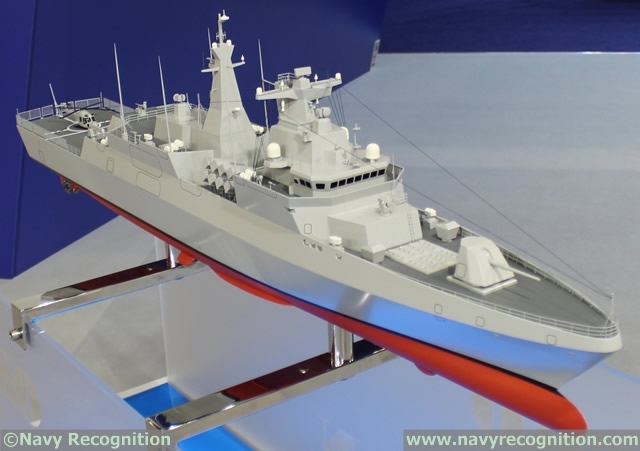 Algeria ordered two frigates (with an option for two more) in March 2012. 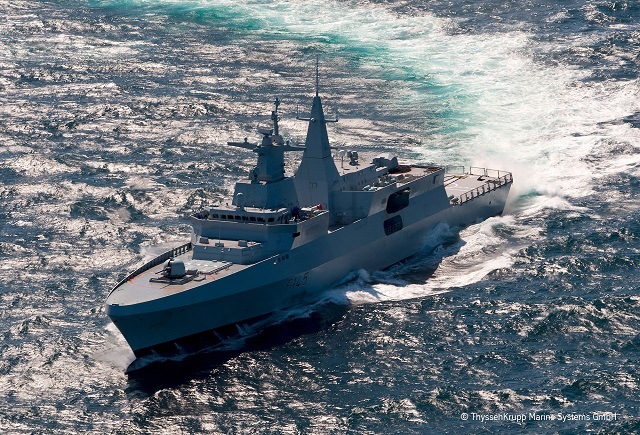 The weapons fit selected by the Algerian Navy is quite powerfull for this type of vessel. According to several sources, the first MEKO A-200 AN should be delivered to the Algerian Navy at the end of 2015/early 2016.